Janel Holcomb raced professionally from 2008-2015 for the US National Team, Optum Pro Cycling, Colavita Forno-d’Asolo, and Webcor Pro Cycling competing all over the world in the sport’s biggest races. In 2011 Janel was crowned NRC Champion after claiming overall titles at the Cascade Cycling Classic, Tour de Toona and Joe Martin Stage Race as well as numerous one-day race wins. In 2014 she and her teammates finished 4th at the World Championships in the team time trial only 6 seconds off the podium. Janel was honored to be selected as a member of the US Olympic Long Team for the 2012 London Olympics. 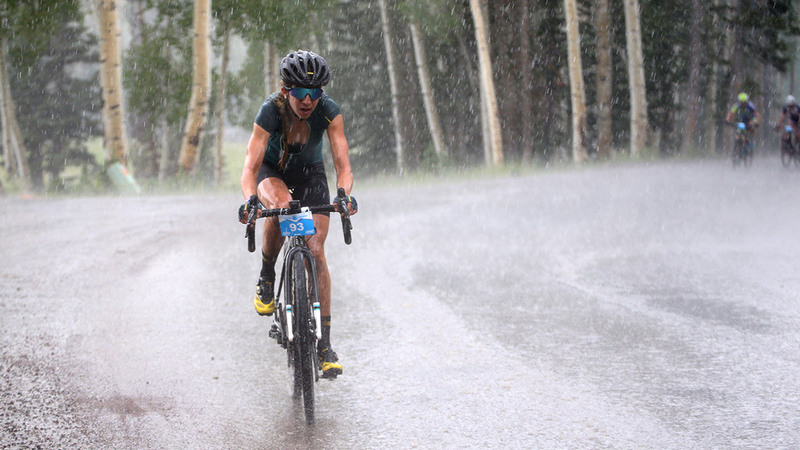 Now retired from pro racing, Janel is a cycling coach, holds cycling camps, and rides worldwide as a brand ambassador for Mavic, Focus Bikes, SRM, Enduro Bites, Topical Edge and Book-a-Bike-Mechanic. Janel will be joining us at CampoVelo for the first time this year. Janel graciously answered a few questions we had for her on riding, food and the cyclist lifestyle. Read on to see what she had to say. In 2006 I joined Team in Training to prepare for a century ride around Lake Tahoe and raise money for the Leukemia & Lymphoma Society. The program was a blast and, with a crew of talented coaches and mentors, the perfect place for me to learn about road cycling. I fell in love with cycling and, after completing the century, was hungry for more! Even though I’m retired from pro racing, cycling is still a part of what I do as a coach and brand ambassador. Most importantly, cycling is part of how I live a healthy, happy life with friends and family. I ride nearly every day and enjoy switching between my road, mountain and gravel bikes. Some days I only get to ride to/from the grocery store or park, but other days I am able to set aside 5+ hours for pedaling around the Malibu Mountains. I make the time because I love to ride and know how good it is for my head and health. Of course I love the feel of flowing single track, pushing my limits on a climb or soaking up the gorgeous views from my bike, but let’s be honest —I ride so I can eat. Thankfully, I know I couldn’t ride without fuel – food is a cyclist’s best friend—it allows us to ride hard and it allows us to ride all day if we fuel right. I always try to eat well on the bike: whole food bars like Enduro Bites if I’m in a hurry or sandwiches, waffles, or other leftover foods if I have more time. Including cycling in my lifestyle also means I can enjoy food (and a drink!) on a day-to-day basis all the more. I love cooking, baking, spending time in the kitchen preparing and enjoying meals with friends and people I love. The more I ride, the more I can enjoy food, a glass of wine, and maintain a healthy lifestyle. I’m incredibly lucky to live in a place where I can ride gorgeous roads and trails right out my front door which means my favorite post ride meal is anything cooked up in my kitchen. Lately my partner and I have been enjoying a quick meal of pasta sautéed with canned sockeye salmon and veggies for our post-ride lunch. He and I chop and sauté onions & garlic with whatever vegetables are in the fridge (yesterday was zucchini and mushrooms), add the salmon, season with salt, pepper, hot pepper flakes and maybe a few herbs, then toss with olive oil and pasta. Within 15 minutes of getting off the bike, we are sitting down to a healthy meal full of the nutrients we need to refuel for the next adventure. This will be my first CampoVelo but last year I was fortunate to ride with many friends who attended CampoVelo. Ever since hearing their stories, I have pictured gorgeous rides in the Napa hills, incredible food, beautiful evenings spent with old/new friends, sipping wine, laughing and relaxing. Seems like the perfect recipe for a long weekend on bikes!